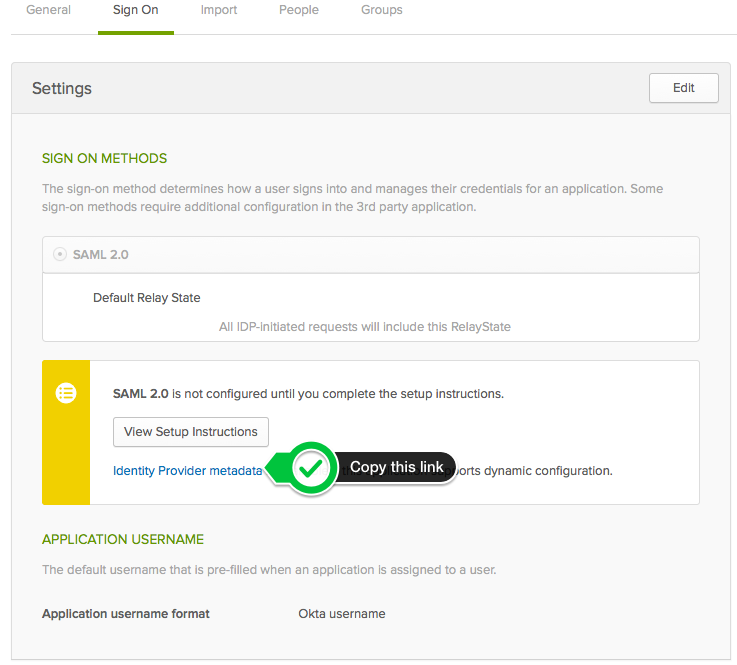 To setup your Status Hero account with SSO/SAML and Okta, you'll need to take the following steps. 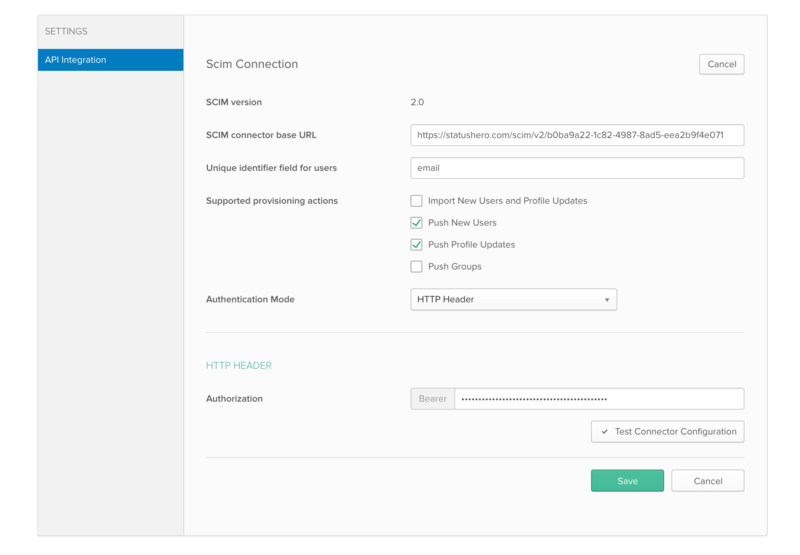 Right now there is still a manual step on our end, so we'll need the link from the last step along with a heads-up that you would like to enable SSO/SAML with Okta for your account. 6. Fill in "Status Hero" for the "App name"
9. In the next step, fill in https://statushero.com/saml/consume for the "Single Sign on URL"
10. Fill in https://statushero.com/saml/consume for the "Audience URI"
11. 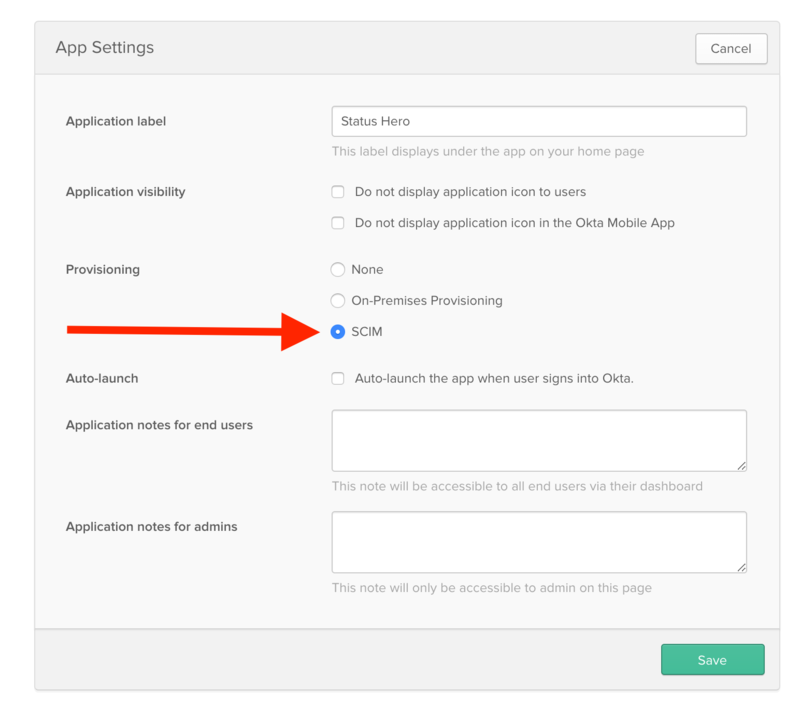 Change the "Application username" field to "Email"
Once you have the application setup in Okta, you can either add users to both Okta and Status Hero, or use SCIM provisioning. If you'd like to use SCIM provisioning, contact support@okta.com and request SCIM_PROVISIONING feature get turned on for the Status Hero app. Then contact us and we'll enable it for your account, after which you'll find the SCIM base URL and bearer token to use in the steps below in your account settings. 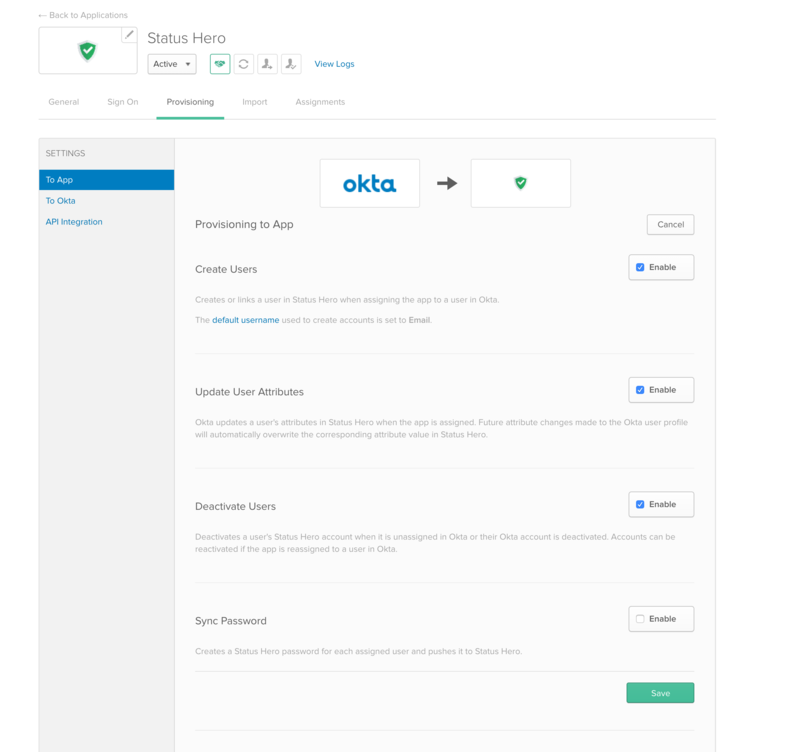 Status Hero uses SCIM v2.0 with Okta. Then under the "Provisioning" section, select "HTTP Header" for "Authentication Mode", fill in the base URL and bearer token from your account settings. Select "Push New Users" and "Push Profile Updates" under the "provisioning actions". Press "Save". Once that's done, you'll able to assign and unassign users to Status Hero from the Assignments tab.